Do you remember good old 1-2-Switch, the slightly forgettable minigame bonanza everyone bought alongside the rather excellent The Legend of Zelda: Breath of the Wild? It went on to sell a whopping 1.37 million units, so it certainly found its audience. Even if like many of us at Nintendo Life you have grown tired of virtual cow-milking and gunfights, Nintendo hasn't forgotten about its Switch launch game and has put out a v1.1 update - it doesn't add any new minigames, but it will allow you to capture 30 seconds of video footage to share on social media by holding down the capture button. So, if you always wanted to show off your soda shaking skills to the world, now you can. In truth it's an odd update, as it's a game that encourages players to look at each other and not the simplistic on-screen visuals that will be captured in the video. Still, it increases the small tally of games supporting video capture on the Switch, so that's something. 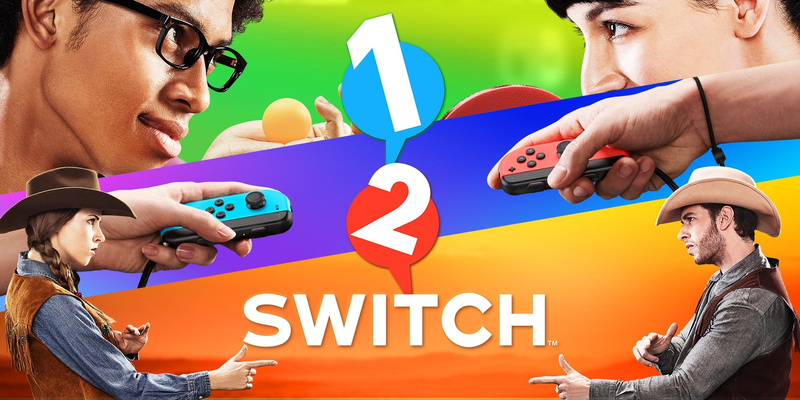 Let us know if you are still playing 1-2-Switch with a comment below. Captain Toad is now sad. @Captain_Toad lol this guy wins it. essentially came here to post largely the same thing. This is a head scratching decision for sure. It's about the last game that needs this feature. Hopefully some third parties start following suit though and we see more updates to add it in to other games. What a waste of 30 seconds. @Pod Uhh... that didn't take long for the obvious retaliation. Never bought it, never will. I think this is useful in games like "Draw" or "Fake Draw", where sometimes you win by a very small fraction of a second. Also, in the one where you untangle a treasure chest.... Maybe also on the safe cracking one. It has its audience. Whether they want this functionality is another question. I did think more mini games would come but perhaps not . . . .
Well, as pointless as it seems at least we know Nintendo is working to add this to all games. Personally I hope PuyoPuyo Tetris gets this update soon, I'd love to be able to record some epic combos! No thank you. It doesn't make me want to shell out $40 to play this game. .....I would give it a try for $10-$15 though. This game will always remind me of the explicit live chats we had here just after the presentation in January. My God, humans can get weird. Of all the games to get this function, really? Fire Emblem Warriors or Pokken would’ve been far better choices, if they’re going with first party games. Never played it and likely won't unless I find it stupid cheap for some reason. Theres been several times playing NBA 2K18 that I wished it had the video feature. I have a feeling it will be super cheap in a year or two (meaning 20 bucks or something, which is still too high). Frankly though, I still don't think I'd buy it, lol. I have to say, this is pretty pointless since most of the action happens outside of the screen, unless you want to eat the sandwiches. @MoonKnight7 yeah too much still. I probably wouldn't play it more than once. Save that money for something else. 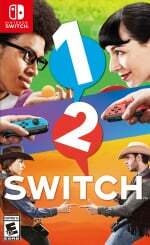 1-2 switch might be worth $10 to somebody, but if Nintendo is smart they will just make it a free download on the console's 1 year anniversary and give a coupon to those that bought it. Played this for about 15 mins before trading it in. And I NEVER trade games in. But this was bad enough to justify it. @thesilverbrick Fire Emblem Warriors is made by Koei, it's not first party. It just uses Nintendo characters. @ballistic90 I don't think Nintendo needs to do that. It sold 1.37 million copies. @ShadJV True, but the game is published by Nintendo itself and features one of Nintendo’s first party intellectual properties. @NinNin Thank you! The additional $9.99 doesn't change how I feel. Agree with all the other times this has been suggested: should have been free pack-in software with every Switch. For £40, there's so many better ways to spend your money. I repeat my comments from the article about video recording included in the NS update: Eventually someone will probably hack the NS to have this feature across the entire NS gui(graphical user interface). Every individual game being "patched"/updated to access the feature sounds tedious. Nintendo should (just) make the feature a system call, so it can be used regardless of software, or just going through the gui, as I already stated. Apologies, that was low hanging fruit. @Capt_N Is this a thing on any other system? Cause I'm sure it's pretty hard to do universally. I saw this update and was wondering what it was. Nifty. This is what people are talking about when they say Nintendo is losing their touch. Nintendo needs to up their stamina for the long game. I don't think you understand how pack-ins work. Now, you may recall people also spent their money on Mario Kart 7, Super Sm4sh Bros., Splatoon, etc. and they were soon bundled in with their respective consoles. (Still are in some cases.) Many times game becomes a pack-in because they sell well. They've made their money back, and have taken their place as a game that would help "sweeten the deal" on that purchase. @10-zx Alex was doing the real heavy milking. The look of "What Am I Doing With My Life?" on his face was palpable. And we will always remember. Oh yes. @Megal0maniac: In theory, the system is simply recording its video output, or possibly could be made to, without any hard mods. You do make me consider the fact that it may not be recording its video output; instead possibly recording before the video output comes into play. If it is recording only its output, then what the software is doing shouldn't matter; that;s what I meant. I could very well be wrong. @Capt_N Yeah, that's the thing. I don't think the Switch has enough cpu power and memory bandwidth to be consistently recording video in real time. So it must be some kind of 'special' reconditioning of player data history to make the output. But indeed, all speculation thus far. @Megal0maniac: I agree. The NS probably doesn't have the horsepower to record in real-time, as you suggest. Maybe, but I doubt it. Edit: By the way, I love your Mysterio avatar. @WiltonRoots while this one has two out of the three usual suspects, it's the article on the infographic that's way funnier and got all 3 luminaries to comment! @gortsi I shall check it out...lol I swear this site is deliberately pushing buttons sometimes. i just don't understand who would want to watch this. @Megal0maniac I think the only limitation is called "Nintendo". @Captain_Toad Agreed. What's the point of this update when all the action is off screen? @GC-161 What? You mean Nintendo being autonomous en cheeky?